WE SAID "YES!" | THEY SAID "NO!" 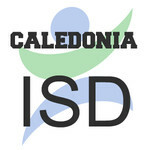 Citizens For A Caledonia School District hasn't added a story. After thousands of families have moved out of our village, or open enrolled to surrounding communities, we've had enough. Our first effort failed because the current district vetoed our efforts. Now, we are seeking a change in state law to place that decision with our citizens alone. "We didn`t want to spend the time [on a study] if the people were not behind it. People are saying ‘okay, yeah, check it out and if it’s cost-effective, economical and it will help keep Caledonia sustainable,’ because that`s our main goal." Today, months after the vote, the village board has yet to act. On July 6, 2015 they rejected paying for the needed study and the issue died. The aforementioned trustee reversed herself and voted "no" as well. A packed room of nearly 100 parents prepared to applaud suddenly grew angry and stormed out in disgust. 2,500 of us voted for the new school district. If 2,500 donated just $12, we'd have all we need. 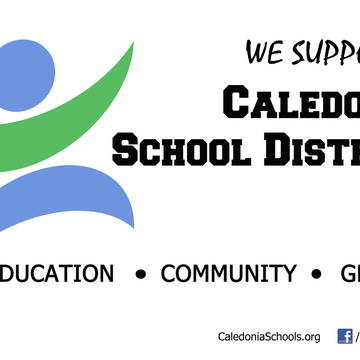 Citizens For A Caledonia School District is an approved 501c4 non-profit organization registered in the state with WI DFI and nationally with the IRS. All donations are confidential but are not tax-deductible. NOTE: If we fail to reach our goal of $30,000 through direct and indirect donations, all donations will be refunded, minus transaction fees. But fear not - we will not fail! Citizens For A Caledonia School District hasn't posted any updates yet. Proudly wear the removable sticker on your car or in your home and tell the world we exist because of people like you! Citizens For A Caledonia School District is managing the funds for this campaign.